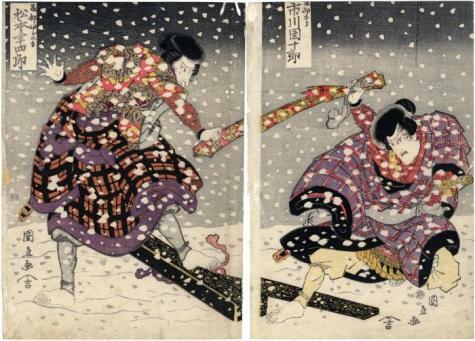 These two prints represent the middle and left panels of a triptych. 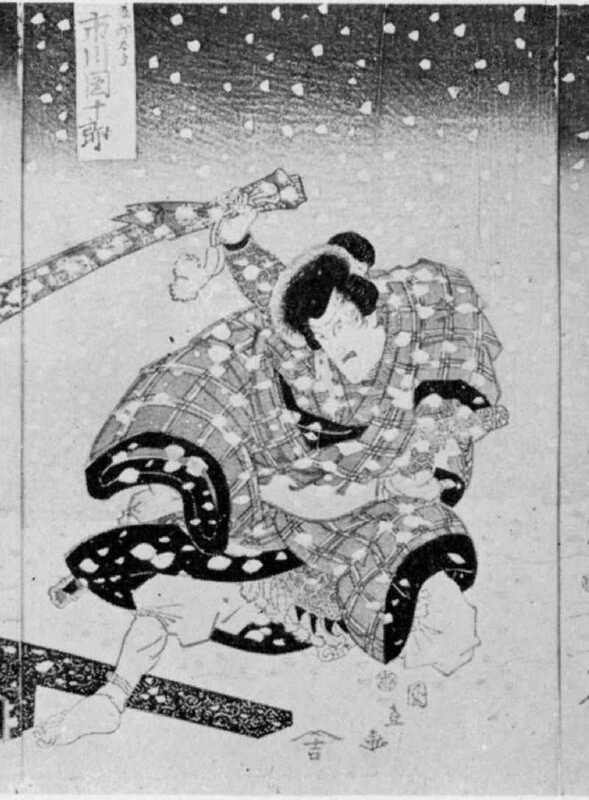 The right-hand panel shows a female ghost watching, maybe affecting the action. To see that print see the link shown above.